these species approximately 100 are venomous and 12 are likely to cause death if they bite, including the brown snake, tiger snake, black snake, death adder and taipan. Every year in Australia, between one and four people die due to snake bites. In addition to the fatalities many people require medical treatment after a snake bite. In Australia from 2005 to 2015, 1,548 people presented to 171 Australian hospitals due to a snake bite. Of these patients; the median age was 38 years, 73% were male, 11% were snake handlers and 52% were bitten on a lower limb. During the summer months, snakes can be more active as they leave their winter locations in search for food or a mate, and being cold-blooded reptiles they rely on the sun for their body heat. Download the toolkit today to access a range of activities that you can do to increase awareness of the importance of safe behaviours to prevent snake bites. Poisoning occurs when people unintentionally drink, eat, breathe, inject or touch enough of a hazardous substance that it results in illness or death. There are many different sources of poison, including; plants, food, medications, cleaning and pesticide products. In Western Australia (WA) between 2011 and 2015, 642 people died and 7,887 people were hospitalised due to accidental poisoning. In 2015 alone, the 1,473 hospitalisations due to poisoning consumed 5,009 bed days at an approximate cost of $10,139,329. Fortunately, there are simple behaviours that can reduce the incidence of poisoning. Many safety actions can happen around the home, such as safe storage and labeling of poisons. Download the toolkit today to access a range of activities that you can do to increase awareness of the importance of behaviours to prevent poisonings. In partnership with the Perth Children’s Hospital Emergency Department Injury Surveillance Unit, Kidsafe WA recently released the 2017-2018 Annual Data Report, which analyses the demographics, causality and treatment of these injuries. Injury was the cause of 28.7% of children’s attendance at the Perth Children Hospital Emergency Department from July 2017 to June 2018. Local Governments and Family and Domestic Violence Prevention: What is your role? Local Governments have a critical role to play in driving the change needed to prevent Family and Domestic Violence within their communities. As the closest tier of government to the people, Local Governments are best positioned to be take action at the local level to address violence against women and to embed gender equality and respect in their communities. The First Interim State Public Health Plan highlights the importance of partnerships in the Public Health Planning process. Join Know Injury for this workshop as we discuss how not-for-profit, community organisations, and health providers can become involved in partnering and assisting Local Governments in the Public Health Planning process. Join Know Injury for our upcoming webinar describing the role of Local Governments in reducing alcohol related harm in their communities. This workshop will be delivered by Joel Levin from Aha! Consulting who has over 20 years’ experience working across Australia in a broad range of sectors. His organisational, engagement and facilitation skills stem from a background in counselling, training, community work and senior management. Where: Bendat Community Centre, 36 Dodd Street, Wembley. Join Know Injury for this free seminar as our panel of experts discuss how research and data can be understood and applied to inform policy and program development and strategies to prevent harm and injuries from road crashes in youth in Western Australia. Where: Bendat Community Centre, Wembley or via webinar. Know Injury will be in the Wheatbelt on 21st and 22nd of February to deliver training, host the Regional Network Group and chat with health professionals about all things injury prevention. Did you miss out on one of Know Injury’s recent webinars? 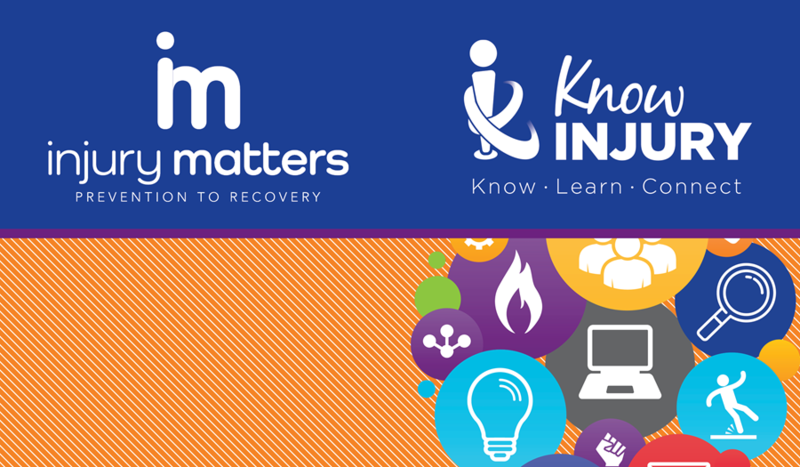 The webinars are now available through the Know Injury website to stream at any time. Connect with Know Injury on Twitter to find out what’s happening in the Injury Prevention space, upcoming events and training in WA. Consultation for 10 Year Strategy for Reducing Family and Domestic Violence - HAVE YOUR SAY. Consultation closes Friday 29 March 2019. Also to include a dedicated approach to Aboriginal Family Safety. Injury Matters, through the Stay On Your Feet ® program, will be launching their new campaign, Check Your Medicines, on Friday, 1 February. Feel free to check out the new resources, video, or training opportunities through the Stay On Your Feet WA ® website. No alcohol ads to kids. No exception. New digital campaign by End Alcohol Advertising in Sport launched last week ahead of the 2019 Australian Open. The new campaign targets the exemption that allows alcohol brands to market their products throughout sporting broadcasts during children’s viewing hours. You're invited to attend the 3rd GrassRoots Falls Festival in 2019. The festival provides an opportunity for health professionals and other staff across all settings, managers, educators, policy makers, and others with an interest in reducing the risk of falling among older people to enjoy sharing the latest ideas and innovative approaches in practice, research and falls prevention at the GrassRoots level. Know Injury is provided by Injury Matters and funded by the State Government through the Department of Health. Copyright © 2018 Injury Matters, All rights reserved. 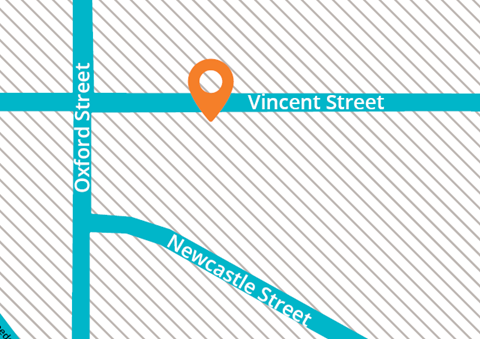 Level 2, 297 Vincent Street, Leederville WA 6007. You are receiving this email because you agreed to be informed about our activities.